Taking a Tampa spa vacation is a wonderful way to rejuvenate yourself after months slogging away in the urban jungle. These tips will make sure your Florida vacation is one to remember. Tampa offers a range of spa resorts that appeal to travelers of all budgets. Tahitian Inn & Spa is a three-star spa resort in the center of town, whose rooms are regularly priced at less than $100. In contrast, rooms at the ritzy Seminole Hard Rock Hotel & Casino Tampa are often five times the price. It’s important to factor in not just the price of your suite, but also the spa treatments. Hotels like Saddlebrook Resort and Spa* offer day and multi-day spa passes which can be more affordable over the length of your stay than a la carte treatments. Paying for individual spa treatments can add up, so it’s smart to set your limits. It’s common for spa workers to encourage you to buy the products they use so you can recreate the spa experience when you get back home. Knowing your budget is a great way to help you decide whether to indulge in these extras. If you plan to spend a lot of time in the spa, it’s worth searching for hotels that offer package deals. These deals bundle rooms, spa services, and some other hotel features together at a discounted rate. For example, the Tampa Marriott Waterside Hotel and Marina offers a Spa Getaway in Tampa, Florida, deal, which entitles travelers to deluxe accommodation, breakfast for two, a choice of two spa services, and a late 2 pm checkout. If you plan on taking advantage of these services anyway, a package deal can be a great money-saver. If you’re unfamiliar with spa treatments or the spa hotels in Tampa, it’s smart to do some research before you set off. Ask any family members or friends who’ve taken a spa vacation in Tampa where they stayed, and what treatments they enjoyed. Speaking to anyone who regularly visits spas, no matter where they’re located, can help you decide which treatments you’ll love. It’s also a great idea to visit websites like Hipmunk.com, where travelers post reviews highlighting what they liked, and didn’t like, on their spa vacations. Spending time preparing for your treatment will make sure you’re in the right frame of mind for pampering. Showering and shaving on the day of your visit can give you the body confidence you need to disrobe. Keep the warm Tampa weather in mind when you’re dressing. Forget about your jewelry; you’ll need to remove it anyway so it’s better to leave it in your in-room safe. Eat a light meal and drink sparingly, avoiding diuretics like coffee and alcohol. Too much food can make you feel uncomfortable, and too many beverages will see you wasting valuable spa time running to the bathroom. 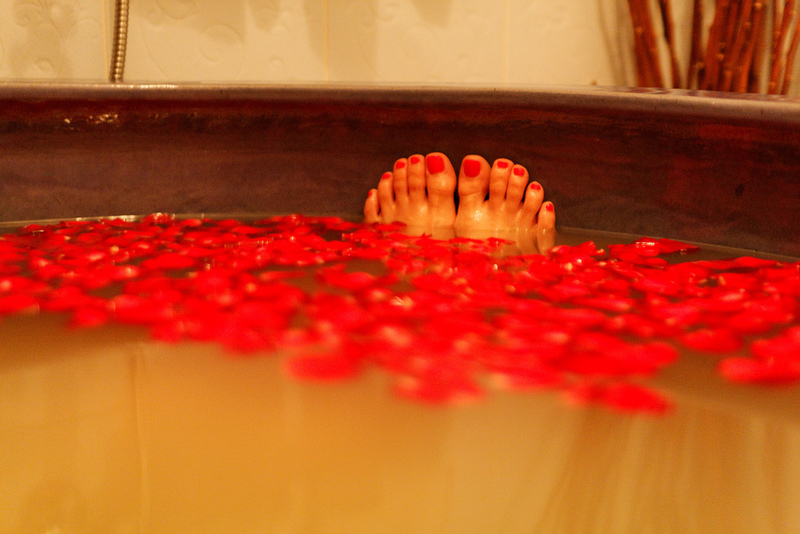 Arrive 15 minutes before your allocated treatment time and prepare to be pampered! With these tips in mind, you can be sure your spa vacation in Tampa, Florida, will be something special. It would be nice to take a spa vacation. Maybe that would help me relax for the wedding coming up. I’ll have to be on the lookout for package deals. Getting a good rate for the hotel and the spa treatments is always nice. I’ll have to do some research to find different deals.